Avocado fries are a great alternative to potato-based fries, whether you just want something a little different or you are avoiding potatoes. The air fryer produces a nice crispy coating without all the oil you would use in a deep fryer. 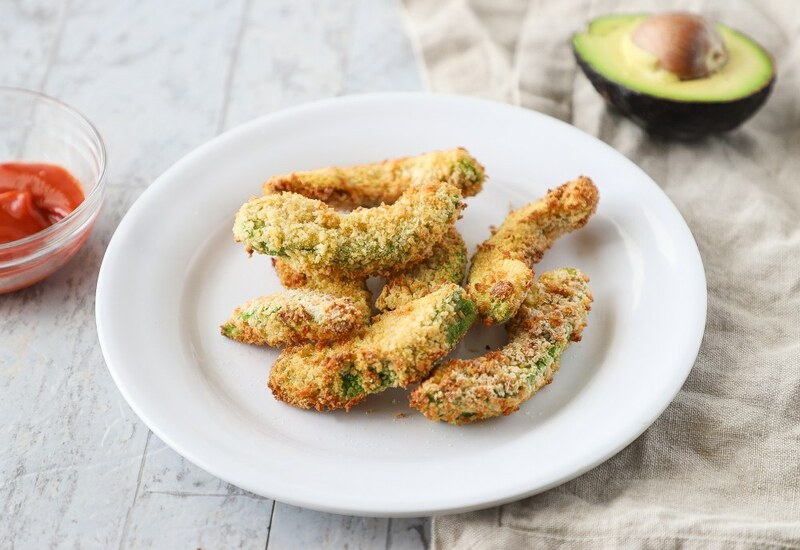 Serve these avocado fries as an appetizer or alongside your favorite sandwich! Try dipping avocado fries in salsa instead of the sauce for a different flavor. Want to make this recipe gluten-free? Use almond meal or gluten-free flour instead of all-purpose flour and panko breadcrumbs. Per Serving: 356 calories; 19g fat; 39.2g carbohydrates; 9g protein; 96mg cholesterol; 426mg sodium. I have been looking for low carb alternatives for my family and this one checks that box. The crunchiness of the breading goes perfect with the soft avocado filling. Will definitely make these again! My wife and I are vegetarian and we have been looking for ways to spice up our menu. This recipe was absolutely amazing. It has quickly become one of our movie night snacks.